The H.C. Edwards Chapter of the Ruffed Grouse Society will host its 23rd annual Conservation and Sportsmen’s Banquet on Saturday, September 29, 2012 at the Augusta Expoland (Suite 277-279), Expo Road, Fisherville beginning with a reception party at 6 p.m. Dinner will be served at 7:30 p.m. According to Kenny Wilkinson, individual membership and dinner tickets are $55. There is also an optional family membership package for $75 which includes two dinners. Additional family dinners are available at $25 each. Banquet, Conservation and Sustaining sponsorship packages are also available at $250, $500 and $1,000 respectively. In addition, all dinner tickets orders received by Sept. 14th will be eligible to win a $150 raffle ticket package. As is the custom at this event the evening will feature live and silent auctions, games, drawings and door prizes; highlighted with the finest selection of quality firearms, artwork and collectable’s. For more information and/or tickets contact Wilkinson at 540-337-1298, 540-255-2423 or by e-mail at rkjpinetrail@verizon.net. As with all RGS fundraisers, proceeds from this event will be used to restore and protect area grouse and woodcock habitat. 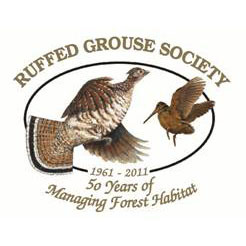 Information on RGS, its mission, management projects and membership can be found on the web at www.ruffedgrousesociety.org.